With that all done we can start to add the ability to change the Map by bulldozing tiles and placing new ones. For this to work we’d need a way for the player to select the tiles to be changed. For this we will use an std::vector like tiles, but it will store ints instead. The player will left click and drag to select the tiles, and when they release the left mouse button the selection will be replaced with the new tiles. First then, we’ll need to create this std::vector. Whilst it is only relevant to the GameStateEditor class, we will place it in Map instead, as it’s far easier to manage there. We’ve used chars instead of ints to be more efficient but we’ll still interpret them as numbers. numSelected is, unsurprisingly, the number of tiles that are currently selected (and are not invalid). 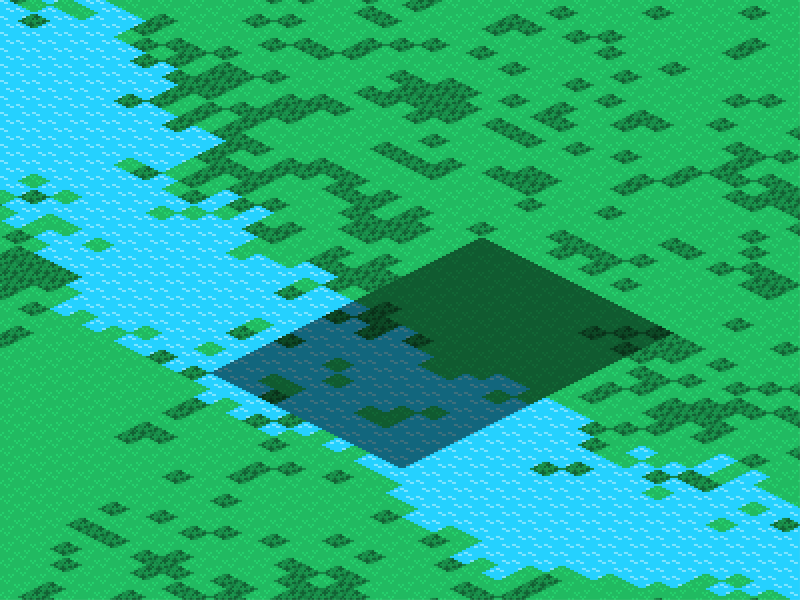 We have the extra invalid option (so sadly we can’t use an std::vector<bool>) for tiles that are within the selection area but cannot be replaced by the tile we are planning on adding (no zones over rivers, for example). We then have the select function that selects all the tiles within the bounding rectangle of start and end, and sets all the tiles within that rectangle that are in the blacklistto invalid. Finally, we have clearSelected to just deselect every tile. With the data structures and declarations set up, let’s go to map.cpp to write the function definitions for select and clearSelected. With the selection functions in place the player needs a way to use them! As discussed before the left mouse button will control all of the selecting. Obviously this will be done in the GameStateEditorclass, so let’s go to game_state_editor.hpp and add a few necessary variables. When the mouse is moved and the player is selecting tiles we repeat the same calculation on the new mouse position to compute the end point of the rectangle. We then use the select function to select the tiles. The if statement is there because the grass tile acts like a bulldozer, replacing anything that isn’t water with grass, but when placing any other tile you are building and not demolishing, and so the land must be free of other buildings first. If the Tile isn’t selected, we set it’s color to white (so that it is unchanged) and if it is we halve its brightness. Now running the code should allow you to draw lovely selection boxes! They might not do anything, but at it’s a step in the right direction.